Amazon makes its first drone delivery in the U.K.
Amazon has kicked off a private trial of its highly anticipated drone delivery program. A week ago in Cambridge, Amazon (AMZN) used one of its autonomous drones for its first delivery, an Amazon Fire TV and a bag of popcorn. Amazon said it took 13 minutes from the customer clicking "order," to the package being delivered. 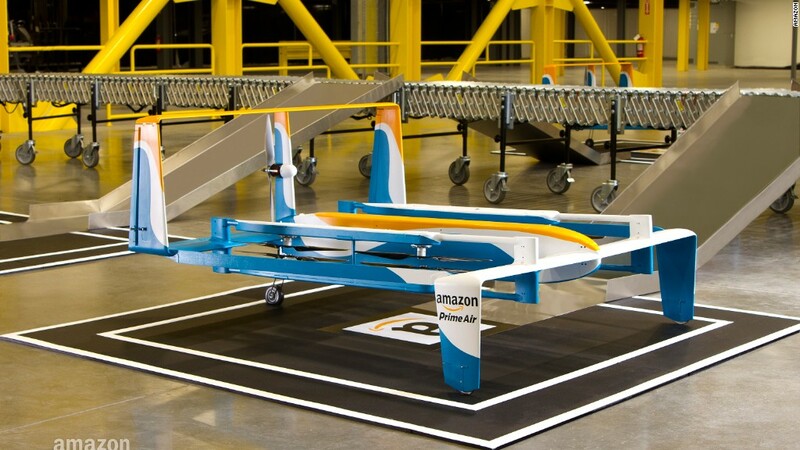 There's broad interest in the tech world in using drones to make delivery fast and efficient. Earlier this year Google (GOOGL) delivered Chipotle burritos at Virginia Tech. It has reportedly talked to Starbucks about delivering with drones. And Domino's has delivered pizzas in New Zealand via a drone.